Suffering with headaches and migraines can be awful. Determining what type of headache you are experiencing is key in determining the best course of treatment. There are five main types of headaches, or most common types of headaches. Migraine headaches, tension headaches, sinus headaches, dehydration headaches and cluster headaches. You may also experience brain fog. ​Acupuncture can help with headaches and provide immediate relief. 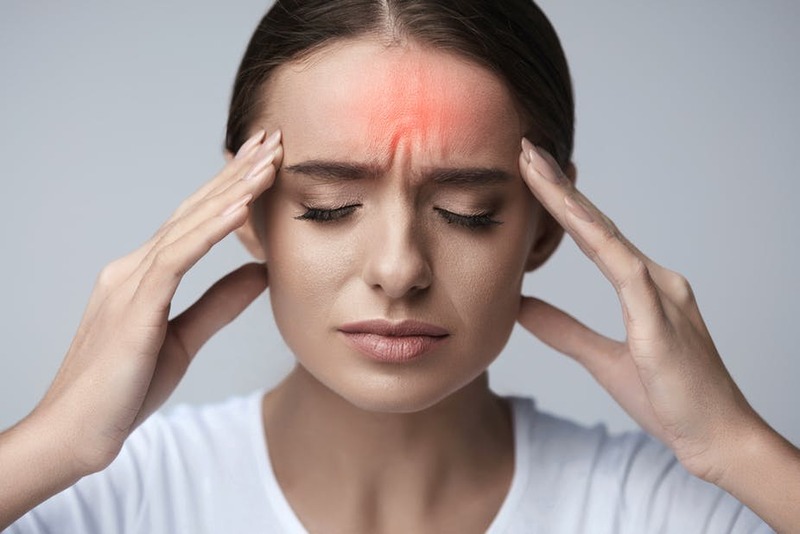 ​Understanding your lifestyle and health history help our acupuncturists and other practitioners determine what type of headache you are experiencing. Some common causes are dehydration, fatigue, lack of sleep, stress, side effects of medication, recreational drug use, eye strain, viral infections, loud noises, colds and flu, head injuries, dental and sinus problems. Muscle tension, TMJ Dysfunction and spinal alignment can also contribute to headaches. Diet, hormone imbalance and low levels of certain vitamins and minerals, can also contribute to headaches. Determining the type of headache and what your triggers are, give us an opportunity to intervene with several different approaches. Though acupuncture has been clinically proven to be effective for the treatment of certain types of headaches, other courses of treatment may also be highly effective such as chiropractic, athletic therapy and massage therapy. There's no need to suffer with headaches. Let us help you figure it out and get you back on track.